FRANKFURT (Bloomberg) -- Porsche said its profit jumped 25 percent last year to a record, providing much-needed support to parent Volkswagen Group as it braces for the high cost of resolving its emissions-cheating scandal. Operating profit increased to 3.4 billion euros ($3.78 billion), and revenue improved 25 percent to 21.5 billion euros, Porsche said today in a statement. Following a boost last year from the rollout of the Macan compact SUV, delivery growth is set to slow this year. Porsche also faces substantial expenses for developing its first fully-electric model and expanding its manufacturing network. Even so, a revamp of the brand's 911 sports-car range and robust demand for its SUVs should help Porsche meet its 15 percent operating profit margin target in 2016 after achieving 16 percent last year, the automaker said. "Porsche continues to be on success course in the current year as well," CEO Oliver Blume said in the statement. Sales in the first two months grew 14 percent to more than 35,000 cars even as demand for cars in China, Porsche's largest market last year, has been cooling. After the upscale Audi brand, Porsche is the second-largest earnings contributor at Volkswagen and generates the group's highest margins. The marque's success is vital for VW to weather what will be billions of euros in costs stemming from the emissions-test rigging. Porsche's exposure to the scandal is relatively small. The division is recalling 13,000 Cayenne SUVs in the U.S. that use a diesel engine developed by Audi that includes the software at the center of the emissions manipulation. Porsche is waiting for U.S. authorities to approve a fix proposal submitted by the manufacturer. Provisions for related costs were built last year, Chief Financial Officer Lutz Meschke said in a speech prepared for a press conference today. Demand for Porsche's sports cars has been resilient despite economic jitters in markets like China, Russia and Brazil. The 911's latest high-margin flagship Turbo version went on sale in Europe at the end of January and is set to bolster profits this year. The revamped Boxster roadster, unveiled at the Geneva auto show earlier this month, will be rolled out at the end of April and the hard-top Cayman version is set to follow later this year. The two cars are being combined in the new 718 model line, which features a newly developed four-cylinder flat engine with turbocharging. "We anticipate today to increase revenue slightly this year and reach profit on the prior-year level," CFO Meschke said in his speech. Porsche said global sales of the Macan in 2015, its first full year of availability, topped 80,000, making it the brand’s best-selling model. At No. 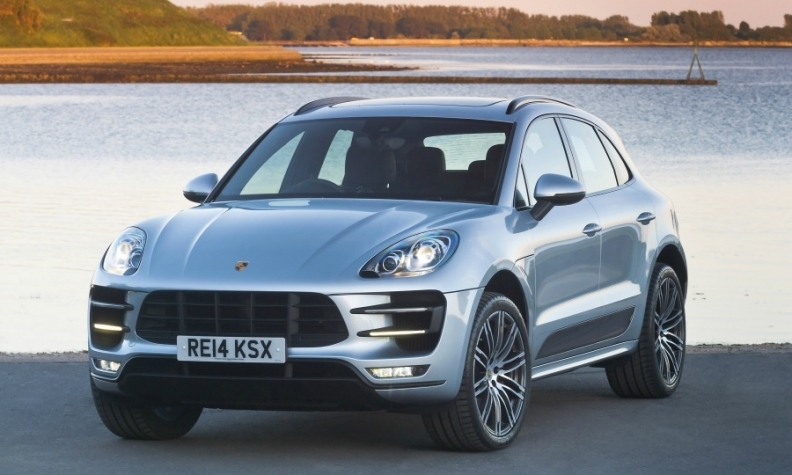 2, the larger Cayenne SUV sold 73,119.